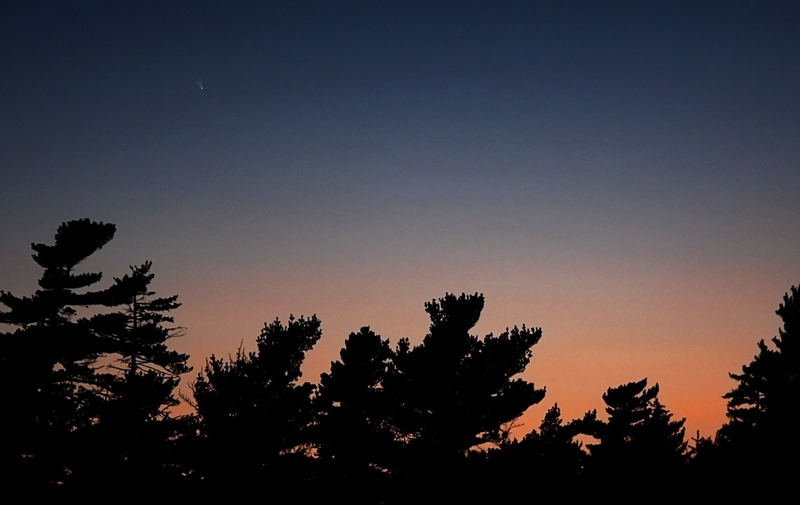 Here are two urban views of comet PanSTARRS. The first is a wide field shot while the second is a telescopic image. Initial stretching and all other precessing except final binning in Paint Shop Pro. 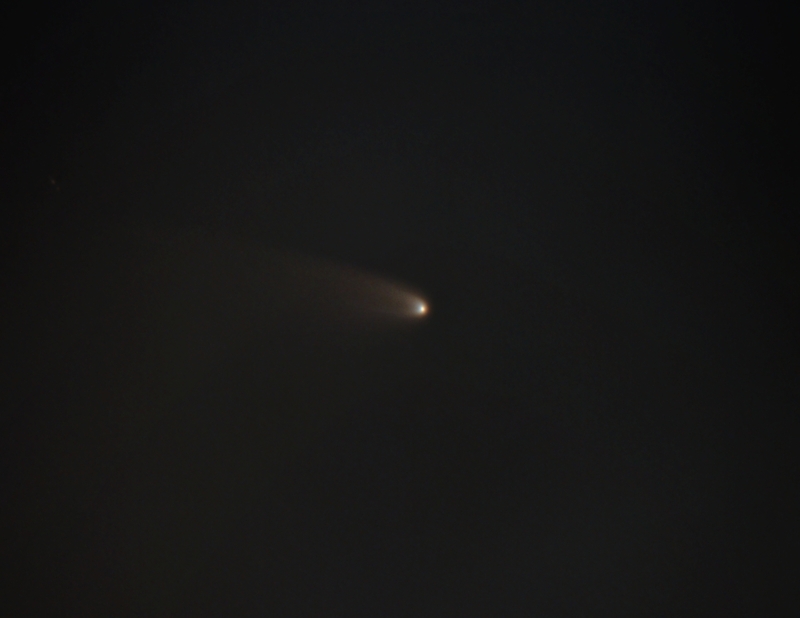 Masked contrast layers used to greatly stretch the comet relative to the sky. High pass filtered with soft light combine and masked noise reduction used to smooth the sky. Saturation boosted with a mask to limit the effect to the red portion of the sky. Finally image binned and cropped then saved as a JPEG in Images Plus. Initial ArcSin stretch done in Images Plus. Masked high pass filtered with soft light combine and masked noise reduction used to smooth the sky. Colour balanced. Finally image binned and cropped then saved as a JPEG in Images Plus.